Chinese President Xi Jinping’s “One Belt, One Road” (OBOR) vision, heralded as an attempt to revive the pre-modern Silk Route, is intended to strengthen West Asia’s economic links with China through ambitious infrastructural projects. Central to this are fast-track rail links, funded by the newly-established Asia Infrastructure and Investment Bank (AIIB), which has its headquarters in Beijing. 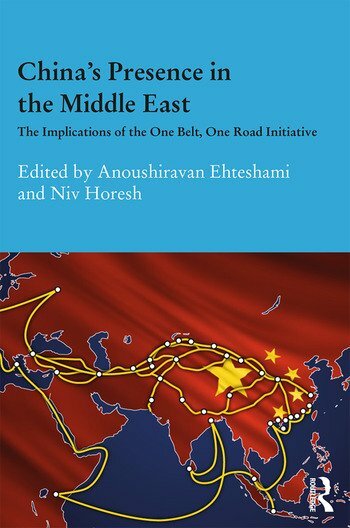 This book explores the implications of OBOR and the AIIB for the Middle East/West Asia, and addresses a number of key strategic questions arising from China’s new initiatives. These include: how far are the strategic imperatives underpinning China’s policies connected to the political dynamics of Xinjiang and the spread of radical Islam in Central Asia? How are Middle Eastern stakeholders’ views of China affected by the new initiatives? How does China’s increasing involvement in the Middle East/West Asia affect other regional powers with ambitions in the region, notably Russia? The book also considers the impact of China’s increasing presence on individual countries, including Saudi Arabia and Israel. Anoushiravan Ehteshami is Professor of International Relations in the School of Government and International Affairs, Durham University, UK. He is also the Nasser al-Mohammad al-Sabah Chair in International Relations and Director of the HH Sheikh Nasser al-Mohammad al-Sabah Programme in International Relations, Regional Politics and Security. Niv Horesh is Professional Visiting Research Fellow in the School of Government and International Affairs, Durham University, UK.